Quality patio sliding screen doors are just a must for people who love to have their home open during the spring and summer months. 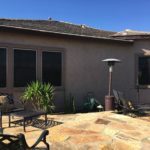 Those areas that enjoy extended summer months, like Phoenix, Arizona for instance, can keep their homes open pretty much all year as the climate is so warm during the winter months. Without the invention of screens, for windows and doors, certain really humid areas of the United States would not have been settled. It is commonly known that without screens and air-conditioning, the South would still be uninhabitable. Screen doors allow homeowners to enjoy the breezes and air of the outside without allowing all the annoying little bugs and insects, like mosquitoes, inside. Quality patio screen doors are a must in order to enjoy the cool evening temperatures, but are there to separate you from insects that could annoy you. Flies, moths, and flying bugs of all kinds seem to love to settle down where people are present. Flies are drawn over when food is being cooked on the outside barbeque, and moths settle in as soon as the evening patio lights are turned on. Mosquitoes can be kept away from people areas with citronella candles and sprays, but it is important that you have well-fitted, secure screen doors on all openings to keep all those flying insects outside your home. 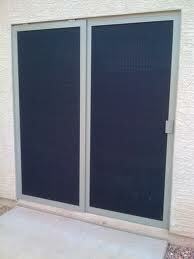 A good patio screen door is also beneficial if you love to cook aromatic foods. When that happens, it is good to be able to open all the doors into the house so that the smell can escape. The screen doors allow the kitchen smells to escape and allow the outside air to replace it. Quality screen doors should fit well and have a lock on them. Many homeowners are constantly replacing their flimsy screen doors as they do not stand up to constant wear and tear, and many larger dogs are able to nose them open or push them completely off when running through the house. It is important to make sure to keep the screen door runners, under the door, clean and moving smoothly. Clean out any buildup debris that settles on the runners after rain and windy conditions. A quality patio screen door will also allow natural light into the kitchen or family room. When the door is open to the outside more natural light is allowed into the home and people will turn off artificial lighting sources. So it does save on energy costs to have the door open. 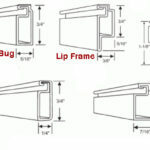 A quality patio sliding screen door will last a long time if it is well maintained.